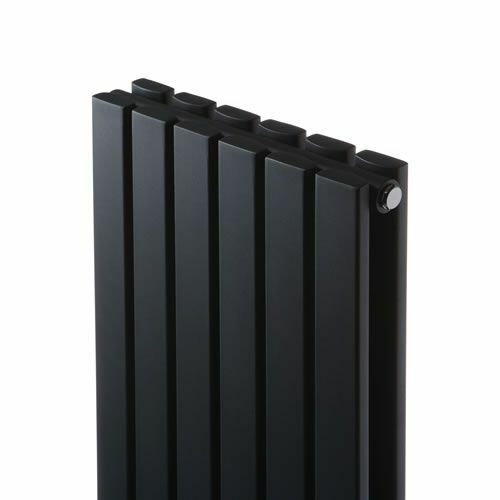 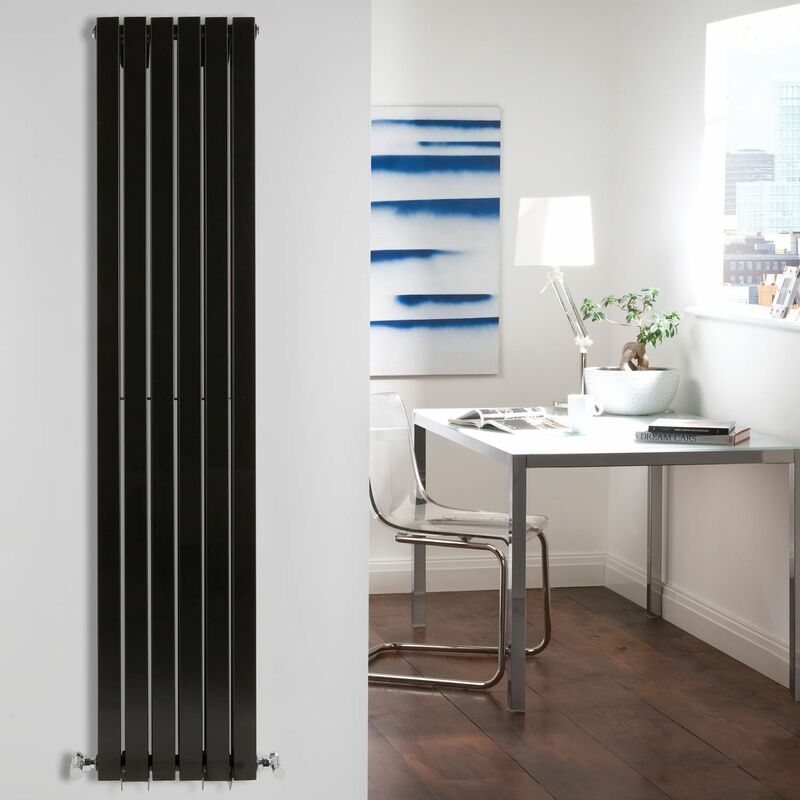 Sloane - Black Vertical Double Flat-Panel Designer Radiator - 63" x 14"
Six double vertical panels, finished in superior high gloss black (RAL9005), make this radiator a striking design feature for any contemporary living space. 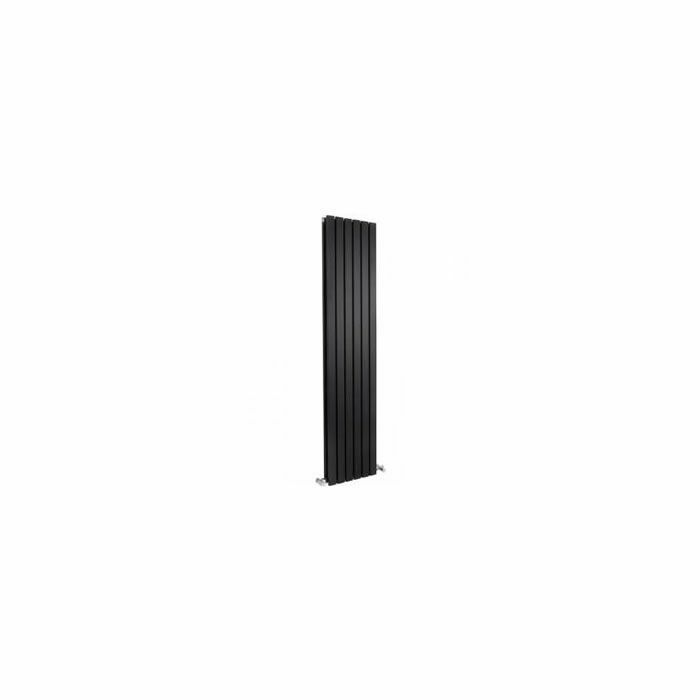 The double vertical panels deliver an amazing heat output of 1,193 Watts (4,071 BTUs). 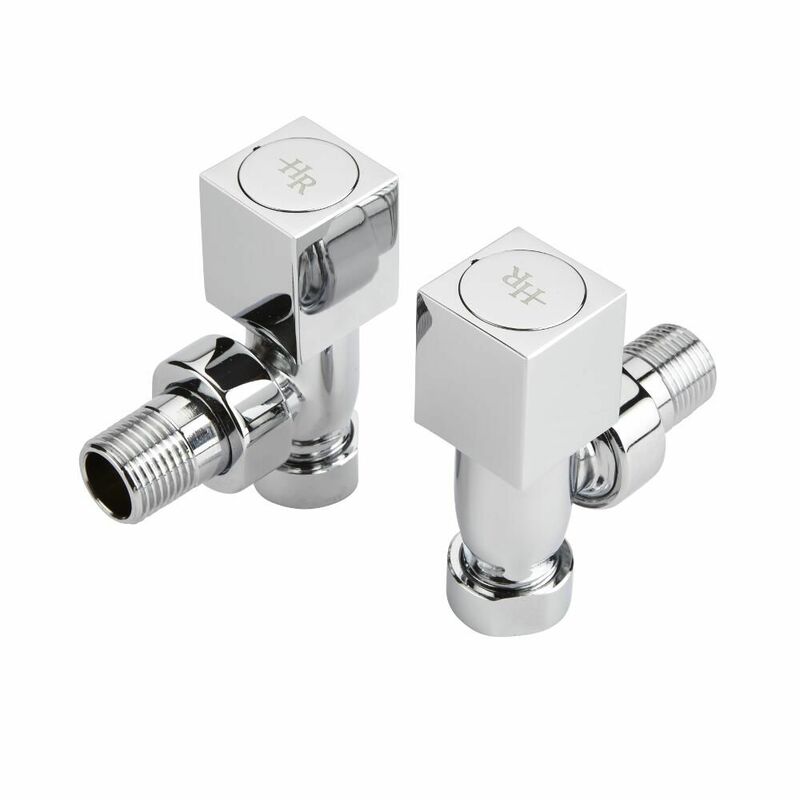 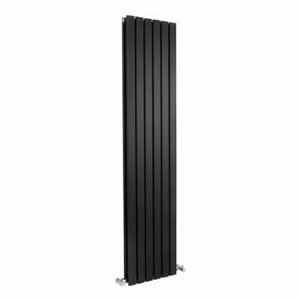 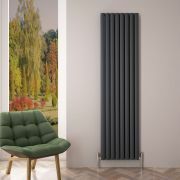 Please note: This Designer Radiator is supplied with vertical mounting brackets only, it cannot be fitted horizontally with the fixings included. 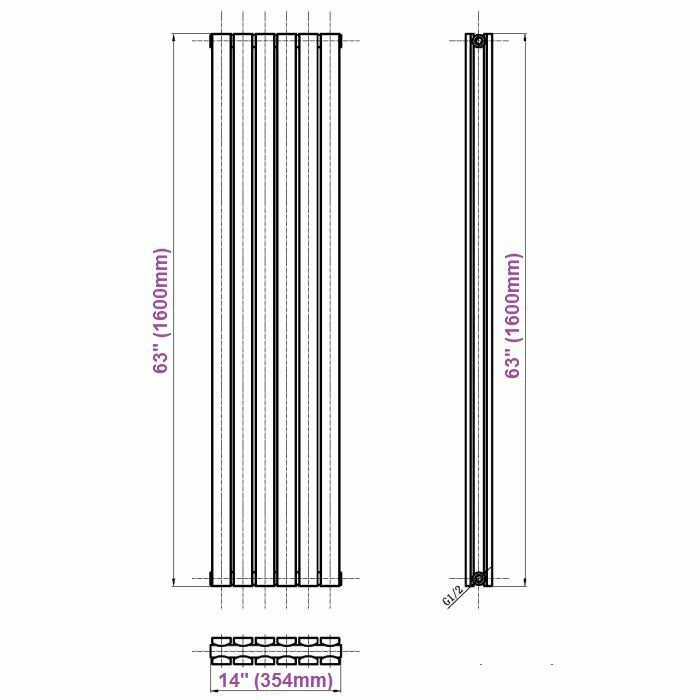 Revive Air - Anthracite Aluminum Vertical Double-Panel Designer Radiator - 70.75" x 18.5"
You're reviewing:Sloane - Black Vertical Double Flat-Panel Designer Radiator - 63" x 14"